As we use smartphones and tablets each day, we also need to charge them up during the day. Most of us have faced some inconveniences, when we want to charge our portable devices. For example, everyone that owns multiple smartphones and tablets knows, how messy all the charging cables can get. To make the charging experience better, we have gathered a list of Top 10 Charging Docks that will hopefully make your life a little more comfortable. Here is a table of Top 10 charging docks we have selected to be the best and most popular in Android charger dock/stand category. 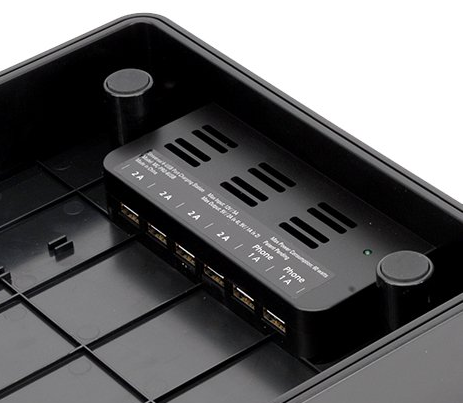 Under the table you will find detailed reviews about each of the charger docks from the table. This charging station is made by Great Useful Stuff. They are known for manufacturing many attractive and useful charging stations for smartphones, tablets, laptops and other portable devices. 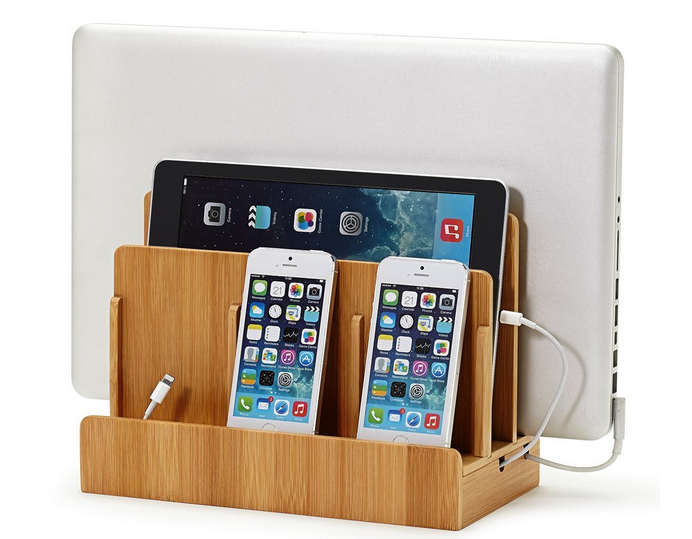 This Bamboo Multi Device charging station is on of their best looking and best selling charger dock. The main thought behind this device is pretty simple. It has three departments for storing your electronic devices. In front there is a smaller department for smartphones, in middle for tablets and in back for laptops. Under the stand there is another department for storing all charging cables. The base department magnetically sticks to thee top stand. It organizes and hides all your charging cables. Everyone that has multiple portable devices will know, how inconvenient and messy all the charging wires can get. This multi device charging dock will hide all those cables conveniently under the stand. On bottom of the stand there are multiple holes for charging your devices. There are 3 holes for smartphone charging, one for tablet and another for laptop charging. The charger dock does not come with charging cords, so you will have to use your own chargers but all cords in the bottom department can be secured with elastic ties and that is very convinient! Multi device charging station is made from eco-friendly bamboo, which looks really good and will fit the interior of your house or office. We enjoyed the design of this dock, and it certainly does its job of hiding all messy wires away. It can even be used as interior accessory for your house or office. The bottom of the dock has microfiber linings to prevent any scratches to your desk but the dimensions of the charging dock are (LxWxH): 10×5.22×9 inches (25.4×13.25×22.86 cm). Secret compartment hides all charging cords. All charging cords still need to be plugged into a power socket outside of the dock. You can use a charger device like this for charging up to 5 devices at the same time. Conserve Valet charging station is manufactured by Belkin. Belkin is well known smartphone and tablet gadget manufacturer. They are manufacturing multiple energy saving products, and this charging station is one of them. This charging device can charge up to 4 different devices at the same time. It has got three USB sockets on the back of the device and one on the side. This allows to connect 4 different USB cords to the dock. On the back of the device there is a power socket for wall adapter. The power output for each USB 2.0 port is 5V/500mA and as previously mentioned, this docking station saves you energy. Most of the people usually charges their smartphones and leave the charger into the wall socket and charger keeps draining the electricity even when your phone is not attached. Belkin has solved this problem with its energy saving feature. When you connect a device to the dock it automatically sets timer to 4.5 hours. This means that after 4.5 hours it will automatically stop charging your device. 4.5 hours will be enough to fully charge practically any device. It will also stop charging when all devices connected will have a full battery. If you later connect a device to the charger, when one device has been charging for a while, the timer will be automatically reset to 4.5 hours. There is also an indicator button on the top of the station that indicates whether any device is being charged. The button can also be used to manually turn on or off the charging station. Belkin Conserve Valet charging station is designed to be easy to use and to organize all your charging cords. Design of the device is simple and it will look good practically anywhere you place it. The top of the dock has enough space to place two smartphones or three smaller devices, like mp3 players. Charging station has special surface that prevents devices from slipping off the station. There are cut out holes under the top of the station, which helps to hide all USB cables. 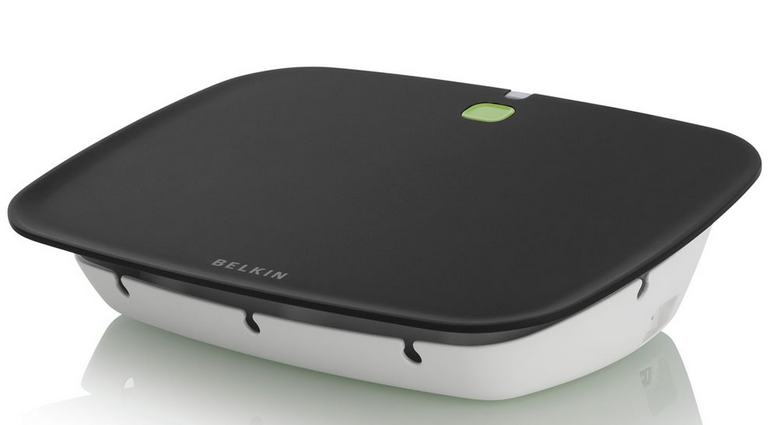 Dimensions of Belkin charging station are (LxWxH): 9.5×7.25×2.63 inches (24.13×18.41×6.68 cm). Charging station comes with two USB Type A to Mini-B 1 foot cords and one 4.25 foot IEC C7 figure 8 power cord. Manufacturer gives this product a one year limited warranty. Power saving features will help you to cut some money on electric bills. No option to turn off the power saving 4.5 hour charging, if you want to charge devices with larger batteries for longer time. Tmvel has made USB charging docks for multiple android smartphones. 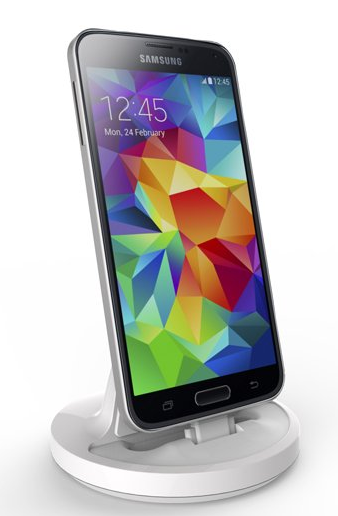 There are specific docks for HTC One and One M8, Nexus 5, Samsung Galaxy S5, Samsung Mega 6.3 and Samsung Note 3. Tmvel has also made an universal charger dock that will fit most android smartphones and phones with Micro USB charging ports. Tmvel Universal charging dock for Android is very simple charging dock that also holds the smartphone in a convenient position while charging. This charger dock is suited for most Android smartphones. It will work with phones, which have a micro usb port at top or bottom of the phone. Tmvel charging dock can be used for charging and data sync and also works as a stand for your smartphone. It can be used at home, work or even when travelling, when you want to charge your android smartphone. The unit is very light, weighing just over 3 oz (85 grams), which makes it easy to take with you anywhere you go. This Universal USB charger dock has got a very simple and sleek design. Unit itself is made from light and durable plastic and is painted in black color. Charger has got a rubber back to help secure the phone more steadily into the dock. Android dock provides a convenient smartphone angle, so you can use your phone or watch movies on it, while it charges. 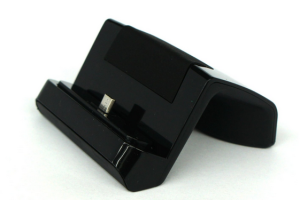 The dimensions of this charging dock are (LxWxH): 3x2x1 inches (7.6x5x2.5 cm). May not fit smartphones with cases. RND Power solutions is a company that is making different charging and battery accessories for smartphones. Their product list consists of charging cables, charging stations, external batteries, charging docks and other type of accessories. 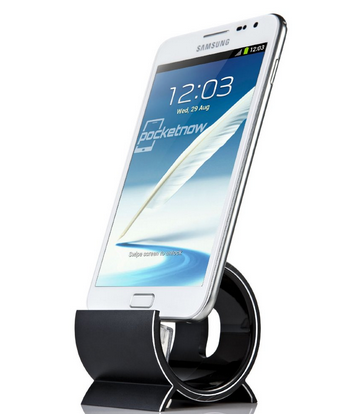 This particular charger dock is suited for Samsung Galaxy S5 and Samsung Note 3 smartphones. There are not a lot of android docks for Samsung Galaxy S5, so this is a must have dock for everyone that wants a charger and a stand for their Galaxy S5. Dock can be used for charging and data sync, as it comes with a USB 3.0 cable. USB cable can be used to connect smartphone to PC, and USB 3.0 is up to 10 times faster than its predecessor USB 2.0 version. Micro USB cable is 3 feet long. The charging cable is 6 feet long and power output is 5V/2.1A so it will not have problems with slow charging like other charging docks may have with larger smartphones like S5 or Note 3. It also has got a power protection circuit to not burn out the batteries. RND Power Solutions charging dock is one of the few charging docks that allows to dock smartphone together with a case thanks to its unique design. Stand also provides a good viewing angle for smartphone, so you can read news or watch videos, while it charges. The device comes in two colors – white and black, so you can choose whichever suits your taste. 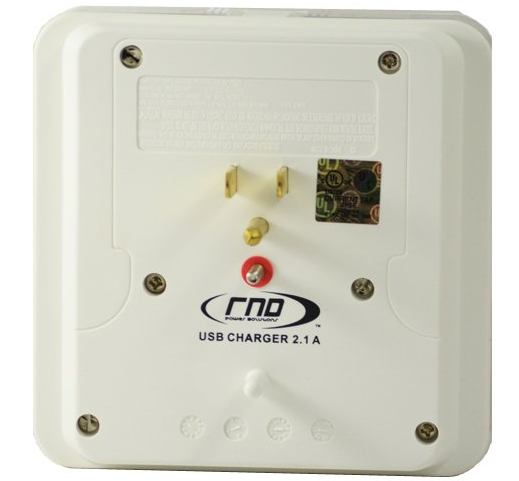 RND Power Solutions charging dock comes with a USB 3.0 cable and a wall charger plug. Fits S5 or Note 3 smartphones even with case on. Difficult to dock the phone. KMASHI is portable battery and charger manufacturer for smartphones, tablets and other devices. This Universal waterproof smartphone charger stand is one of the cheapest android stands you will find on the market. 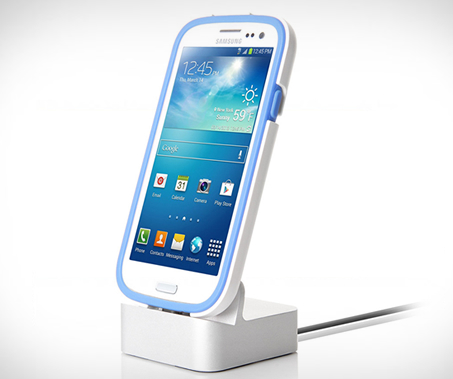 KMASHI Universal charging dock is one of the most simplest android docks. It is made from silicon material, which is soft, does not scratch your smartphone and surface it is used on, and will also provide a good grip for your smartphone or tablet. Dock can be used as a smartphone and tablet stand on your office or home desk. It can also be used as a charger dock, as there is a special place behind the dock, which helps to organize the charging cord. Charging cable can be put through a cable holder, so it does not mess around the dock. This dock is compatible with practically any Android, Apple, Windows Phone and other smartphones and also smaller screen tablets like iPad mini. Smartphone can be docked in both portrait and landscape positions. Charger stand provides a nice viewing angle, so you can easily read books, browse galleries or watch movies, while phone or tablet is docked into the stand. 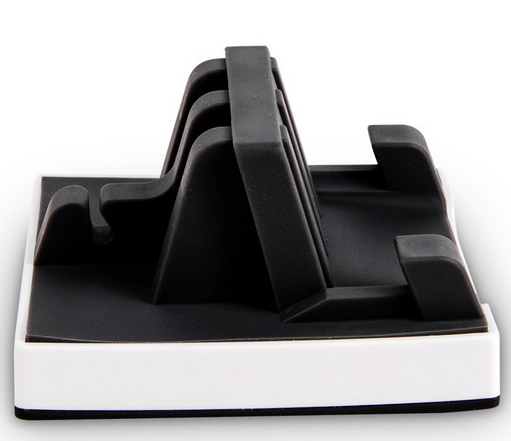 KMASHI Universal charging dock is made from silicone material, which is durable but soft at the same time and will not scratch your phone or tablet. Under the back of the dock there are two holders for styluses or regular pens. The silicon top part is detachable from the bottom part, so it can be easily cleaned or washed. The device is also waterproof so you can clean it under a water. 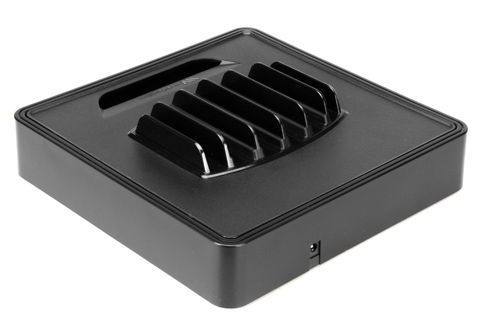 The dimensions of this charger dock are (LxWxH): 3.23×3.23×1.68 inches (8.2×8.2×4.26 cm). The weight of this device is 2.4 oz (68 g). Can be used as a smartphone stand in both portrait and landscape mode. Smartphones with case may not fit into the stand. This multi charging station is produced by MobileVision. This is one of the few multi device charging stations on the market. Multi charging station means that it can charge more than a single device at a time. This particular docking station is able to charge up to 6 devices. 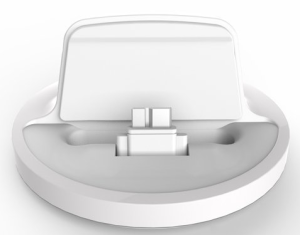 MobileVision charging station is equipped with 6 USB ports. This allows to connect up to 6 USB powered devices at the same time. Device is able to charge smartphones, tablets, mp3 and mp4 players. It can charge both Apple and Android devices, including Samsung Galaxy S5, iPhone 5s, iPad and Nexus smartphones and tablets. There are 4 USB ports with 2A power for larger smartphones and tablets, and 2 USB ports with 1A power for smartphones and other devices. 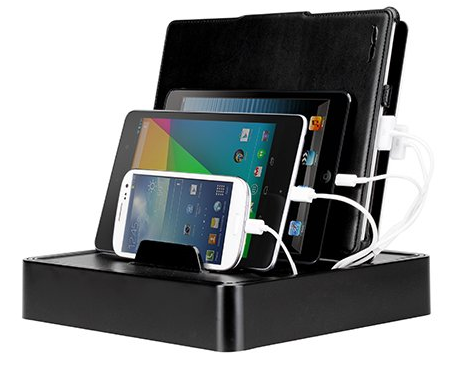 MobileVision multi charging station comes with 3 micro USB cables at 8 inch length, so you can charge your android devices. If you want to charge more devices, or use station for charging your iPhone, iPad or iPod, you will need to use your own lighting or 30 pin cable. One sidenote, this docking station requires chargers 8 and more inches long so you will not be able to charge devices with shorter cables. Charging station has got 3 larger and 3 smaller slots for smartphone and tablet placement on top of device. Slot widths are 11 – 19 mm (0.43 – 0.74 inches) and that allows to dock some smartphones and tablets even with cases on. Charging station is compatible with newer Android smartphones that charges via USB 3.0 ports. Design of this charging device is very simple. It consists of upper and bottom parts. Upper part has got 6 compartments for holding devices, while they charge. Bottom part has got 6 USB ports and is used to hide and organize all charging cables. Upper part can be removed from the bottom part, when cables need to be placed into the station. 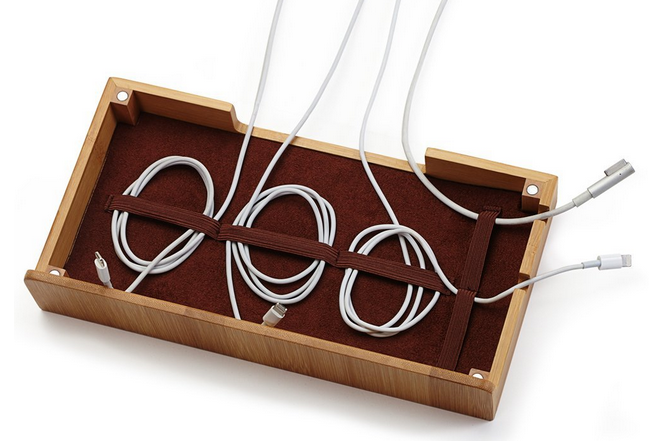 This design helps to hide all charging cable clutter and creates a lot more organized look, than if you would need to charge 6 devices with separate wall chargers. Charging station is made from plastic, which is a bit of a downside. However, it does its job and holds chargers as well as all your devices in one place, and is also quite easy to clean and does not scratch your devices. You can get this charging station in black and white colors. The dimensions of this device are (LxWxH): 9x9x2.5 inches (22.86×22.86×6.35 cm). There are additional power adapters available for this charging station, so you can use it in other countries with different electrical sockets. 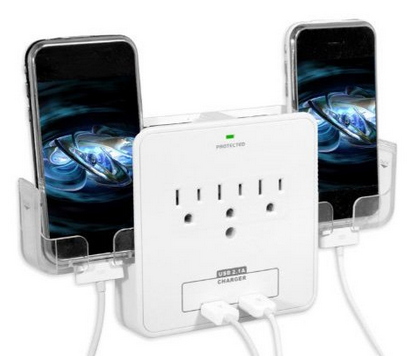 Charges up to 6 devices at the same time. Pricey for a charging station without other functionality. 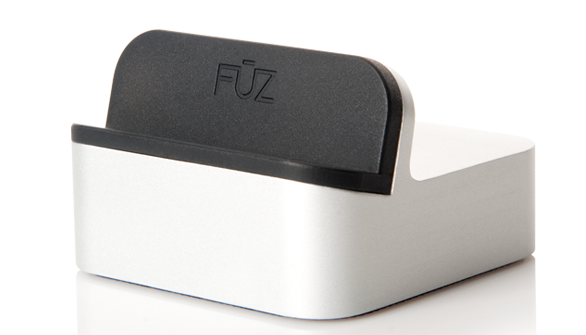 EverDock is manufactured by FŪZ designs company. Besides this charger dock, they are also selling two other charging stations, you may check them out here. EverDock was on kickstarter and raised over 450000 dollars, which was almost 10 times over the goal they set. This gives you some insight about quality of this charger dock. EverDock is a simple charging dock that you can use with your Android smartphone, tablet, iPhone, iPad or other devices with micro USB charging ports. It works best with devices that has got charging ports on top or bottom of the phone, like iPhone, Samsung, Motorola, Nokia and others. If your device has charging port on side and is not placed in middle, it may have problems holding your device steady into the dock, Otherwise, this charger will fit any smartphone and even tablet without problems. EverDock uses special cable holder, so you can use it with micro USB, Lighting or 30 pin connectors. It has got two removable silicon protectors, so it can fit devices with a cases. For example, you can use larger silicon pad for devices without case, slimmer pad for devices with slim cases, or remove silicon protector completely, to use it with larger cases. However, this dock may not fit smartphones with extra large protection cases. One of the best features of this charger dock is the micro-suction technology. This technology helps to provide stability for the dock. 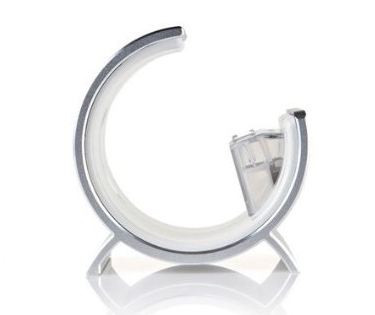 It stands stable on the desk, so you can place and pull your phone of the charger with ease. With most of the charger docks, you will have to hold charger with one hand, and than pull phone off the dock. Micro-suction technology makes this process a lot faster and more convenient. This is probably the only charger dock for Android that is made from such a quality aluminum. The design of this small gadget is just stunning. You can feel the quality by looking or touching this device. EverDock will look good with all Android, Apple or any other smartphone or tablet you will use it with. Dock has got nice viewing angle, so you can also watch movies or read books, while your device is charging. Charger dock comes in three colors – silver, grey and gold. Each of these colors give the Everdock a perfect look. Device comes with a micro USB cable so you can use it with your Android device out of the box. Dimensions of this device are (LxWxH): 2.5×2.5×1.6 inches (6.35×6.35×4 cm). Dock weights 8.48 oz (240 g). Will work with most smartphones with a case. Significantly more expensive than other single device charging docks. Sinjimoru is a South Korean company that was established in 2009 and is manufacturing different accessories for Android and Apple devices. Their product list consists of pouches, cases, stands and charger docks. This Sinjimoru Sync Stand is available from aluminum or plastic material but the aluminum stand is a bit more expensive than the plastic one. 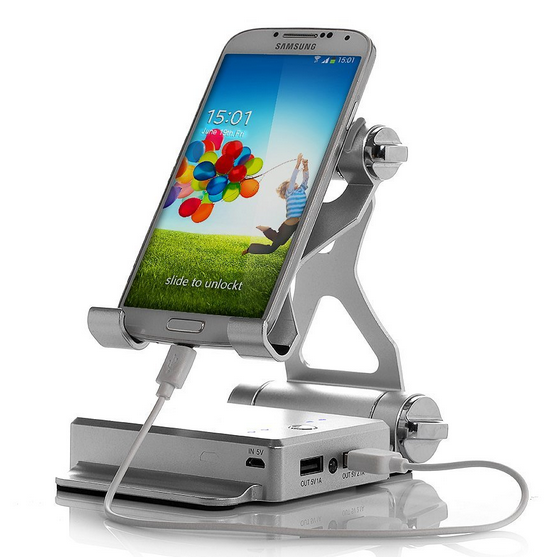 Sinjimoru Sync is a simple stand and charge docking station for Android and Apple devices. It can be used for charging your phone, as a stand for your smartphone or tablet, and to sync your device with computer. Sinjimoru dock will work with any Android device that has a Micro USB port on top or bottom of the phone like, for example, Samsung Galaxy S3, S4, S5 and many other smartphones and small screen tablets. This dock will also work with iPhones and iPod Touch. The idea behind this charger dock is that you can use it with whatever cable you need – micro USB, Lighting or 30 pin connector. It comes with three different supports for all of these charging cables. Micro USB cable can be used both ways, so it fits any Android smartphone from Samsung to Nexus and others. Sinjimoru dock also supports smartphones with up to 2 mm thick cases. 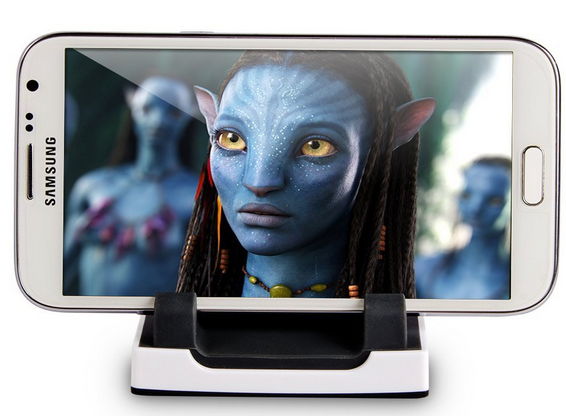 This charger dock and stand provides a good viewing angle for watching movies or making video calls. What makes this Sinjimoru dock stand out from the rest of android charger docks is the design of the product. It has a rounded shape with aluminum finish that gives the dock more quality. It will provide a convenient and attractive place for your smartphone, while it sits and stands into the dock. Sinjimoru dock allows to place smartphone into horizontal and vertical positions, which provides better angles for video calls or watching movies. However, there is one disadvantage in design of the stand. It is not quite stable, when being used, for example, when writing on a touch screen, while phone is docked into the stand. It is really easy to capsize the docking station together with the smartphone. Sinjimoru Sync stand comes in plastic and aluminum styling. Plastic stands are available in navy, pink, light pink, white, lime green and black colors. Aluminum stands are available in black and silver colors. Device comes with included micro USB cable. Dimensions of this device are (LxWxH): 2x2x2.5 inches (5x5x6.4 cm). Charger stand weighs 2.1 oz (60 g). Horizontal and vertical docking positions. Stand does not feel stable and will not hold the phone, while it is being used, for example, while typing on the smartphone. This RND Power Solution wall power station differs from other charging stations we have listed in this guide, because it plugs directly into a wall socket. And what makes this device unique from other similar devices is that it has got two smartphone holders on both sides. This charger device can be used for charging practically any of your electronic gadgets, from smartphones, tablets and mp3 players to digital photo and video cameras. RND Power Solutions wall power station consists of 5 charging sockets. There are 3 AC outlets and 2 USB ports. AC outlets has got 540 joules of surge protection and power station provides a built in protection against power spikes. 3 AC outlets can be used for charging electronic devices with wall adapters. This way you can use this power station not only to charge your USB compatible devices, but also other type of electronic devices, which do not have a USB type socket. One problem we found with AC outlets were that they are too close to each other, which basically means that the middle outlet is unreachable, when either outlet on side is being used. The USB hub is capable of charging 2 devices at the same time. This means that you can charge either your Android devices with micro USB charger cable, Apple devices with Lighting cable or 30 pin charger cable, or any other type of two devices simultaneously. Each USB port individually provides 2.1A power required for charging larger smartphones and tablets, like, for example, iPad. Charging station can be mounted to a vertical 2-socket outlets. There is a special screw in the middle of the power station for secure mounting, which can be removed, if not used. RND Power Solutions power station has got useful slide out holders, so you can place your device into the holder, while it’s being charged. Holders will best fit smartphones with charger ports on top or bottom of the phone. Holders will also fit smartphones with slimmer and medium thickness cases. This power station is available in black and white colors. The dimensions of the power station are (LxWxH): 1x1x1 inches (2.54×2.54×2.54 cm). It weighs 4.8 oz (136 g). Will charge larger smartphones and tablets like iPad with a fast charge providing 2.1A power. Power outlets are too close to each other, so it may not be possible to use all three outlets at the same time. 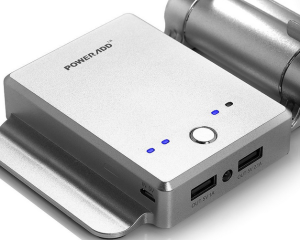 Poweradd is a company that produces smartphone, tablet and laptop accessories. Their product line include different battery chargers from regular to solar chargers, bluetooth products, and different other smartphone and tablet accessories. This Poweradd product combines charging and stand functions in a single portable device. Poweradd charger stand is a multifunctional device. This device consists of external battery and stand combined in one device. External battery has got 10400 mAh capacity that allows to fully charge your smartphone and tablet for multiple times. There are two ports on side of the battery, one with 5V/1A power and one with 5V/2.1A power. You can use 1A port for charging smartphones and 2.1A port for newest, large screen smartphones and tablets. Battery allows to charge both devices simultaneously. Charger dock uses Li-Polymer battery with a built in intelligent circuitry for protection and ensures power bank discharge durative. On top of the external battery there 4 LED indicator lights, that shows how much charge is left in the battery. For charging the external battery, there is a 5V/1A Micro USB port in front of the charger dock. You can use the micro USB charger that is included with the device to charge the battery. There is also a small flashlight on the side of the battery. This devices has got an adjustable stand. You can adjust the angle of the stand in a position that is convenient for you to watch movies, make video calls, read e-books, surf web or play games. Device is compact and light, and smartphone stand can be folded to take up a lot less space. The cover for external battery is made from aluminum. Smartphone stand is made from plastic and has got a soft pad that will protect your smartphone or tablet from scratches. Dock has got four buttons for adjusting the angle of the stand. Device feels durable and will hold even larger tablets without any problems. Poweradd 10400mAh stand comes with a micro USB charging cable and a user manual. The dimensions of this device are (LxWxH): 5.3×3.7×1.2 inches (13.46×9.39×3.04 cm). It weighs 8 oz (227 g). Device comes in silver color. Manufacturer Poweradd gives this product a 1 year warranty. Two charging ports with 1A and 2.1A power for smartphone and tablet charging. Portable, durable and good looking device. Does not come with a wall adapter.